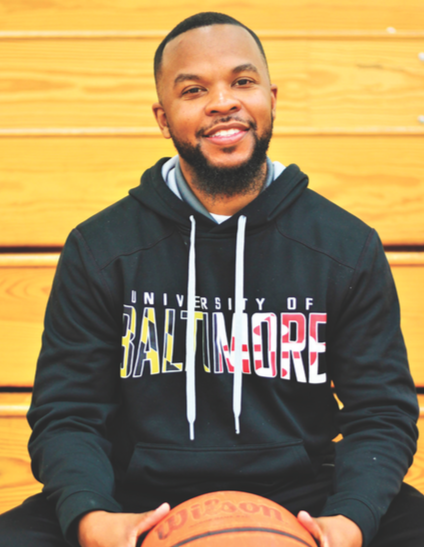 Like an orphaned child, University of Baltimore’s students are left on their own to cope with the loss of programs and campus resources that have been helping them throughout their college career, such as the counseling center. It is not a secret that the University, its employees, and students have been taking hit after hit since 2016. Low enrollment caused the University to unveil furlough plans. These plans claimed the jobs of several employees and eliminated the positions that were unfilled. As of February 2018 the furlough has ended. This was only foreshadowing for things to come. There is a huge disconnect between the Administration and Students. This disconnect was witnessed during the budget town hall meeting back in February. During this meeting, led by school president Kurt Schmoke, the voices of students and administration both rang out throughout the Moot Courtroom. Talks of budget cuts has everyone on edge. Most importantly the students, who pay tuition every semester just to find out programs are being cut for the sake of the dollar. This has broken the traditional school spirit and affected the sense of unity that was once so effortlessly spread amongst the campus. Now, we are scrambling to figure out how to pick up the pieces. After the meeting concluded, one can question whether student happiness and well-being is a priority. We learned about the 19 departmental budget reductions. We learned about the new proposed budget which included 115 million in budget revenue, 114 million in spending, and 1 million for reserved contributions. We learned about the 5 year plan, the hiring freeze and the list goes on. Student affairs contributes to most of the student activities on campus. Even though this is true, students will be taking another punch to the gut with 30 percent of Student affairs being cut, the proposal to make cut downs with campus recreation and wellness, and as mentioned before, the counseling center. Student fees contribute to student affairs and if enrollment is down, so are the fees. The utilization of the counseling center declined 18 percent since 2017 and served less than 150 students. While the numbers make sense, the attitude toward a solution doesn’t. Campus Recreation and Wellness play an enormous part in helping fellow students and faculty on campus by building up their employees for their professional careers outside of school. The counseling center, the one sure place students could go when they were dealing with the stress of the semester or anything outside of school. Students appreciated that face to face interaction and assurance that someone is actually there to assist them. In place of the counseling center, there is temporarily a 24/7 phone and internet therapy line that students would contact in the event that they needed counseling. Once the service is utilized the student is pointed to a local provider. Does the mental health or amount of happiness for students even matter at this point? There were talks of not only closing the recreation center but cutting 31 student ambassador positions because students aren’t learning anything by working in these positions. This is how you can tell that the current “leaders” at the University are out of touch with the student body. This is deeper than just voicing concerns and hearing feedback. This is about maintaining the unity and spirit of the University of Baltimore. There was so much “coming together” talk during the Budget town hall, but it appears the students are living out that phrase more than administration. Brandon Thomas, a student for Campus Recreation and Wellness took the initiative to revive the unity that has been fading away. Campus Recreation and Wellness teamed up with the Student Government Association and started Thursday Night Basketball in light of the Budget Town Hall meeting. Every Thursday students come to play basketball with free food provided, even though resources are limited. When asked the purpose, Thomas said with pride that this reoccurring event is in place to “show that student services are important.” The student ambassadors volunteer their time to serve food, which demonstrates integrity throughout the student body. During these nights no one from the administration has come to witness the greatness, yet they speak for the students and decide what’s not working for us. Is the dollar more important than the academic atmosphere for students? The key to student wellness and happiness is not in the bank, it’s in the heart.